Hey everyone! Thank you so much for the positive responses to the “25 Days of Holiday Songs”! If this your first time joining me on the challenge, you can read the posts from Day 1, Day 2, and Day 3 by clicking on each day. Moving on to today’s post, guest writer Amy Barnes picked a classical Christmas hymn. But, the memories behind this Christmas song is so deep and bittersweet. It will touch the hearts of whoever reads it. Click to read Amy’s heartwarming memories and her Christmas song pick! Welcome back to ☆ai love music☆! I am sorry for the month-long hiatus! I really enjoyed the challenge of writing for NaNoWriMo, even though I didn’t reach my goal of 50,000 words (although I wrote past 40,000, yay!). Also, work and real life became severely busy recently with Christmas-related events and always catching some sort of virus or cold. 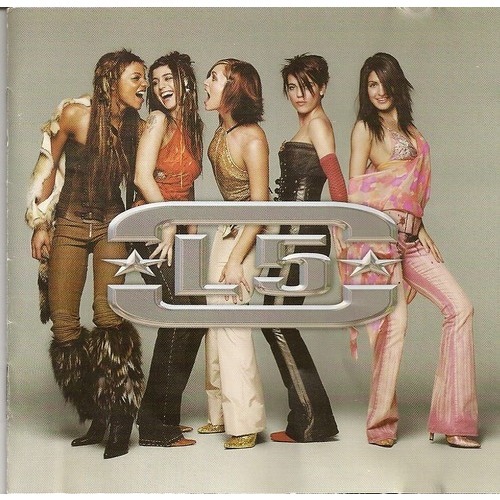 Now that everything has sort of calmed down and I am healthy again, I am resuming my blog writing with a serene goody from the French girl group L5. Formed in 2001 to compete in the French version of the internationally acclaimed talent search show Popstars, L5 was composed of five members: Alex Dana, Claire L., Coraly Emoi, Louisy Joseph, and Margie Nelson. The group eventually won the competition’s inaugurate season, leading them to score a record deal with Mercury Records. The band proved to be super popular as their debut single, entitled “Toutes Les Femmes De Ta Vie”, sold over one million copies and is currently the forty-eighth best selling single in France. They released their self-titled debut album a month later with moderate success. The group also released two follow-up albums in 2002 and 2006 with some success due in part to their relationship with Popstars. However, that popularity soon faded as their last original album, Turbulences, sold only around sixty-five thousand copies due to a lack of proper marketing. The girls also felt like their time in the limelight was fading as they were considering future projects and life after L5. One of the first members to announce their departure from the group was Claire, leaving in early 2006. However, this didn’t stop the other members as they released a cover of The Bangles’ “Walk Like An Egyptian” as a quartet a little while after. The same quartet would eventually reunited in 2011 and 2012 for special live performances. Though the girls tried to keep the group from breaking up, the walls eventually caved in as L5 announced their breakup on the French morning program Morning Coffee on December 20, 2006. The girls went on to do their own separate careers with a variety of success. Claire participated in the blind auditions of the French version of The Voice but was eliminated before the finale. Meanwhile, Louisy Joseph went on to pursue a solo career and was featured in the dance competition show Danse avec les Stars in 2014. At the same time, Margie and Alex appeared as guests on the reality show L’Île des vérités. “Les Cinq Branches d’Une Etoile”, a track found on their first album, is a soothing yet uplifting tune. The diversity of the group’s vocal tones are accompanied well with the acoustic instrumentation of snaps, a drum kit, tambourine, a bass, and a guitar or two. One of the gems is found during the chorus part due to how the girls blend together beautifully. The harmonious blend between the different voices are excellent as no one really sticks out or there isn’t a sour note anywhere. In fact, I feel this arrangement is so fitting as it represents the lyrics perfectly. Judging by the partial translation of the lyrics from Google Translate, the words to “Les Cinq Branches d’Une Etoile” are so serene and features a positive message, just like the musical side. Some might criticize “Les Cinq Branches d’Une Etoile” as a tedious piece as there isn’t a lot of variation since it features a light instrumentation, a heavy presence on group choruses, and a simple pattern. However, this song is a precious treasure with it’s tranquil ambiance and a harmonious balance between the girls and the instruments. The simplicity in “Les Cinq Branches d’Une Etoile” is what makes the song very beautiful.